The device Mega Jack is a popular multigame, most of his games were true hits. 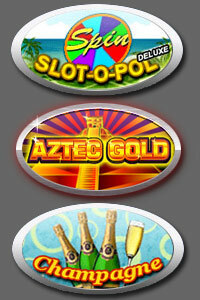 It combines a set of games of video poker and few video slots - Aztec Gold, Champagne, Slot-o-Pol. On this page we provide you with information on installing a firmware with bug in the slot machine MEGA JACK. This is an opportunity not to rely on a lucky break, and always get what you want. I'm not going to talk about the false secrets slot machine Mega Jack, and to focus on the only way to win in this slot - a change of software. If you put it more precisely, the installation of a bug in the program of a slot machine, which is responsible for issuing the prizes randomly. After hacking a slot machine Mega Jack (reprogramming) prizes will be at the request of the player. To install the chips with bug-firmware in the machine, you will need no more than two minutes. If you have the programming skills of chips, you can order the binary files. And then write firmware on the chips, using a device programmer. You will only need to choose a convenient time to install the bug-firmware in the machine. All proposed methods of hacking slot machine Mega Jack is to change the software gaming machines by replacing the firmware. Available versions of hacking from 25.01 to 30.63. Type of electronic board can be both with a block security (TAPA) and without TAPA. Similarly, the firmware exist for different types or universal - for work on any type. The chips will be sent the fastest possible way, through an express courier service. Delivery times vary by country destination and cities. Firmware, software, and files sent to your email. The first way - the substitution of the ROM (U1, U2). Original chips should be removed and replaced by chips with bug-firmware. Before installation, be sure to turn off power. The chips are easily removed from the circuit board, Soldering is not used. To win at a slot machine, you must enable the virus (bug). Is it a game at the quoted rates (4-10 steps) in a specific sequence. After the final step of the activator is connected virus program. In fact, at this moment we are not dealing with a slot machine Mega Jack, but with a completely different algorithm (with the fact that the developers have laid a bug). Then you can win a certain combination (jackpot), or get a free games (bonus), or doubling any win. After a win, you can deactivate the bug. This is done by removal of credit points or enter a code off. After disabling the virus code, slot machine works normally. When installing the firmware bugs (microchips) on the board system, precisely observe the correctness of their position in the landing pads. If not installed properly, it can damage the device. The photo shows the arrow mark at the landing pad and firmware. Microchips must be inserted in this way. 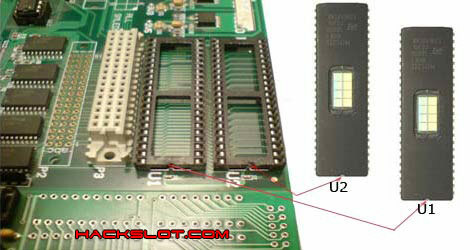 Another way to hack a slot machine Mega Jack - reprogramming the chip Dallas (DS5000T). Almost impossible to set a bug in the chip or not. The method of obtaining win is almost the same (code entry). 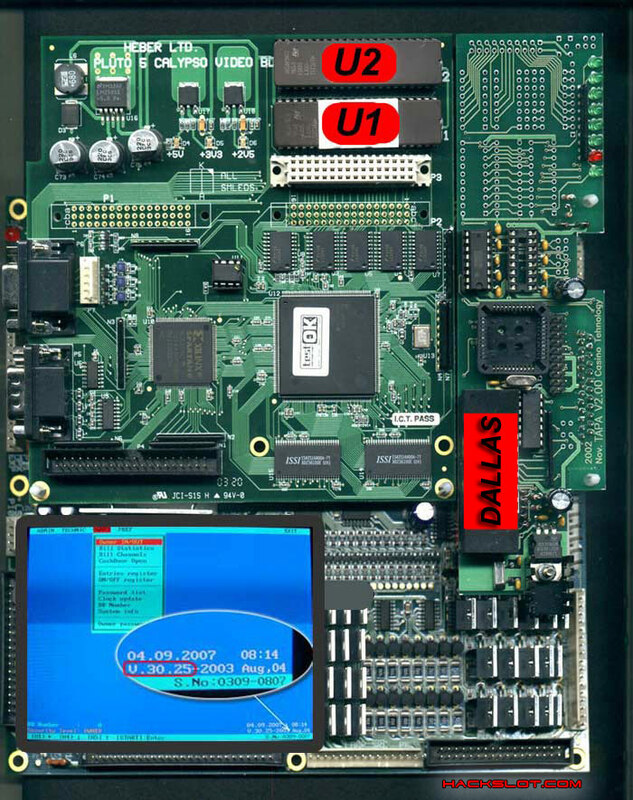 DALLAS - one of the most tamper-resistant crypto processor. The information in the closed part can not be considered an ordinary programming device, even if it supports this type of chip. Can not read the contents of the chip and compare it with the original. Thus it is impossible to determine when installed bug. Hence the high cost for the program to insert a bug in dallas and programmer for flashing his game. Mega Jack for version 30.25, 30.50. Winning in slot machine in two ways. First, set ROM chips on the board. Then comes the player and wins the required amount of money. These visits can be repeated several times, and in between the device behaves like a normal Mega Jack. Second way: at the right time changing chips, won the required amount and the original chip return. Determine the version of the slot machine Mega Jack. The version number can be determined if enter into one of the menu level. Version written in the lower right corner of the screen, next to the date of creation. In the slot machine Mega Jack has several levels (Owner, Pref, Technic, Admin). There the factory default passwords for each level. In the photo, the example shows that this gaming machine version 30.25. Level settings (Pref) - the default password 32455. The level of EEPROM (Balance level) - the default password 7899 (entrance on level Technic). - Enter the password and click "START" ("START"), then click "STOP5" ("HOLD5"). Password for level "OWNER" - "10033 (or 10115)." Click "START" ("START"), then enter the password and press the "START" ("START") again. Password for level "ADMIN" - "0". Password for level "TECHNIC" - "00". This type of bug works only in mainboard without board security (TAPA). Issuance of the five characters "DOLLAR" in the games "SLOT-O-POL", "SLOT-O-POL DELUXE", "
Instead of X falls not under the control characters. Including can give (S). sometimes flies with a combination of two $ on a single drum. The game Aztec Gold falls characters "Phoenix".